Police are advising motorists to exercise caution on roads this morning after last night’s snow. 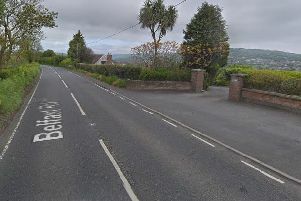 PSNI Larne has warned of black ice on the main A8 road and icy patches around Larne and Carrick. Motorists are also being told to ensure that vehicle windows and and lights are defrosted and there is screen wash in the car before making a journey. Carnalbanagh Primary School, at Glenview Road, Glenarm, has been closed today due to adverse weather conditions. Meanwhile grit piles have been made available to residents at Sullatober Recycling Centre (Carrickfergus), leisure centre carpark (Carrickfergus); Greenisland Allotments carpark; Castleview Road, (Whitehead); Kilwaughter Road Service Depot (Larne).